Several high profile advocates for reinsating the federal estate tax and many wealthy individuals, have appeared before Congress to encourage reinstatement of the federal estate tax before the August congressional break. As this issue proceeds, we will keep you up to date. The failure odf Congressional action will have significant effects on many modestly wealthy families once the estate tax returns to low shelter amounts starting at 12:01 am on January 2011. To see if you are in need of new estate planning strategies or documents please follow this blog or sign up for our RSS feed. Attorney David Frees can be reached at 610-933-8069. 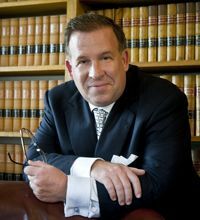 For a free estate planning consultation with Unruh, Turner, Burke and Frees call David Frees at 610-933-8069 or email him at [email protected] Mention this code: ESTATETAXLAW for your complimentary consult. Frees' blogs at www.PaEstatePlanners.com and www.utbf.com/trust-estate provide updates on wills, trusts, powers of attorney, GRATS, and many other estate tax and inheritance tax issues for affluent families and individuals in Chester County, Montgomery County, as well as Berks, Lancaster, and Bucks Counties. The firms law offices in Malvern, Phoenixville, and West Chester serve many surrounding communities including Devon, Wayne, Ardmore, Berwyn, Exton, Chester Springs, and Downingtown.